to one that’s a Potluck? Or maybe you’re going to have a quiet New Year’s at home. In any case, I’ve compiled a list of delicious morsels that is sure to delight, no matter how you’re spending your New Year’s. Being new to the blogging world, this is my very first “Round up” (a compilation of ideas, in this case recipes, written by other people). Just click on the recipe title to get the recipe. Enjoy! 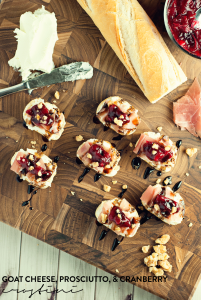 Serve these tasty treats with my Cranapple Orange Chutney. These tasty morsels would be a great snack any day! This next recipe was posted by Glenda, from Busy at Home. I haven’t tried it out yet, but it looks really delish. I love hashbrowns and I love jalapeno poppers. Great combination! I gotta make some really soon. Yeah, you read right, Lasagna DIP. This fantastic idea came from a roundup done by Spaceships and Laser beams, but originates from Closet Cooking. I personally don’t know anyone who doesn’t like lasagna. What a fabulous idea to make it into a Dip! Yuuummmmmy! Be sure to serve with Garlic Bread! The following is one of my Garlic Bread recipes. 1) Preheat your oven to 325°F. 2) Take a baguette and make one inch slices along the bread (don’t cut all the way through). 3) Make a garlic spread by mixing 3/4 cup of room temperature salted butter with 3 cloves of freshly minced garlic, 1 tbsp of freshly minced parsley, 1 tbsp parmesan, and a dash of cayenne (optional). 4) Spread the garlic butter between the slices. 5) Wrap the baguette in foil and pop it in the oven. 6) Bake for 20 minutes, turning over half way through. 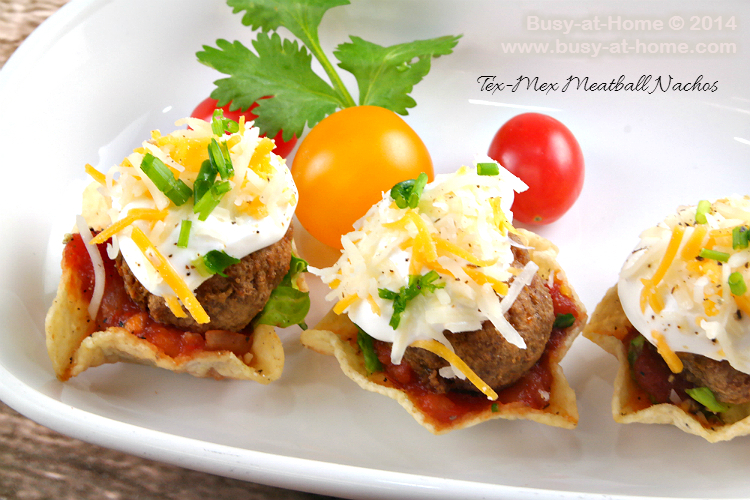 They are called “Tex-Mex Meatball Nachos“. They’re like mini bite-sized tacos! I think they’ll be pretty popular at the party I’m going to 🙂 I might even vary the recipe and just use “taco meat” instead of meatballs… either way, they look rather tasty! 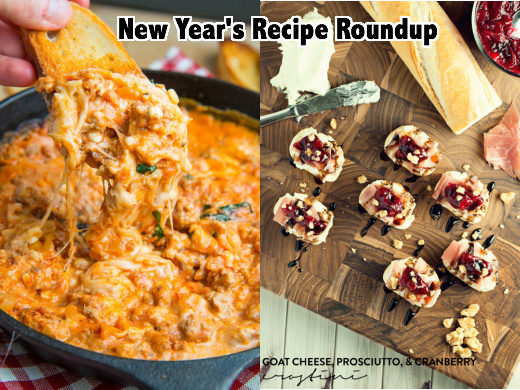 I hope you get a chance to try out a few, if not all of these awesome recipes. This entry was posted in Recipes, Roundups. My son would be all over those hashbrown jalapeno poppers! Love the look of that lasagna dip – yummy! These all look delicious! I’m always on the lookout for good potluck recipes. I think I might try the Minty Potato Somosas. Yum. Thanks! Okay, I am so hungry right now! This is an awesome round-up! Thank you! Sharing. I love a good app roundup 🙂 There are some great looking dishes here! I am all over that lasagna dip… mmmm! What great recipe ideas. I love the hashbrown poppers and lasagna dip ideas. I need to make that crostini!! 🙂 Sounds delish! I especially like the cranberry / goat’s cheese recipe – I just purchased some of each and will be trying it out! Thank you and Happy New Year!